This post comes from a reader request. The scenario she was facing is that when a referral is created in myEvolv, you must enter a referral source and a referral reason on the form. When you go to perform an intake from the referrals, this information is not pulled into the client record. She wanted to have the Referral Source and Referral Reason fields on the client initial enrollment AND also have those fields pre-populate with the options that were selected on the referral. 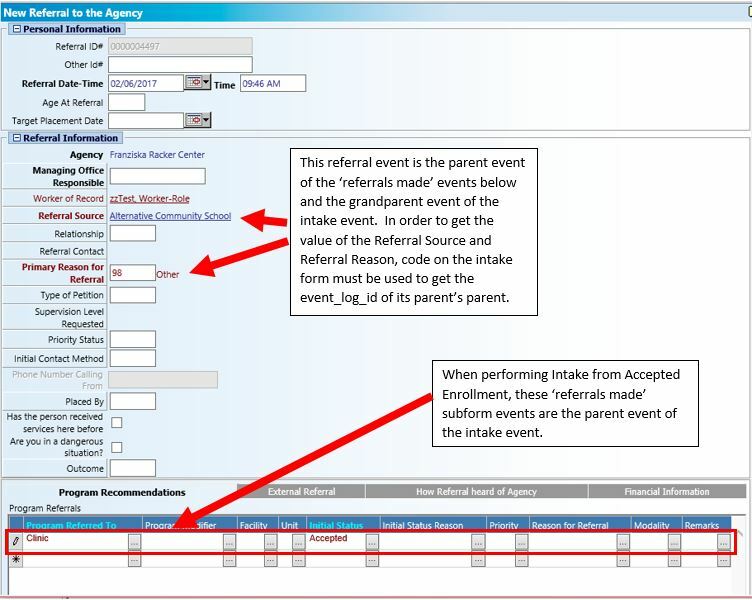 The Initial Enrollment from Accepted Referral form is in the Agency Intake form family. Agency intake events are not user modifiable so we have to modify the system form to add the fields for Referral Source and Referral Reason. Referral forms use the refrerrals_to_agency table and the intake forms use the service_track table, so we will need to add new database fields to the intake form to hold our Referral Source and Referral Reason values. We will set them up just as they are on the referral form, using the same picklist and and dependencies. At this point, the intake form has a place to store the referral source and referral reason but the user would have to manually re-select those values, which is a pain and also error-prone. We know the information is in the referrals_to_agency table, so we can use the getDataValue() form function to obtain the data but how do we know which row to select. When you perform a client intake from accepted referral, the intake event “belongs to” the referral made event. The referral made events are the subform entries for Program Recommendations on the Referral form. In turn, those referrals made events “belong to” the referral form that houses the referral source and referral reason data we need. Once you have selected the accepted referral from which you are completing the intake, myEvolv sends a belongs2Event parameter to the intake form so that when the intake is saved, the intake is linked to the parent referral made. That value is equal to the event_log_id of the referral made event, which means we can plug it into the getDataValue() form function to get the value that referral made event’s parent event_log_id and then use that value to return the referral source and referral reason values. With this setup in place, when you perform an intake from accepted referral, the referral reason and referral source from the related referral should be on our intake form. 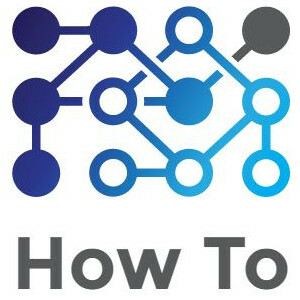 Note that this setup enters duplicate data to what is on the referrals_to_agency table into your service_track_x table. If we wish to avoid saving duplicate data to the database, we can setup the new fields on the Intake form as variables instead. This will allow us to display the referral source and referral reason on the intake form when it is opened in myEvolv but no data from the variables will be saved to tables when the intake is saved.